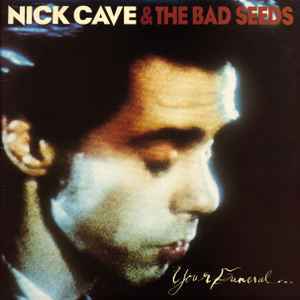 This one also has "MPO" in the runout, but is not the same as: https://www.discogs.com/Nick-Cave-The-Bad-Seeds-Your-Funeral--My-Trial/release/3164590. This has plain white inner sleeves & no postcards. To quickly give my take on this release I will just say that it sounds great on nearly every account. Both high and low ends are spot on and the bass is really meaty, just how I like it. I cant compare with any other release but if you want a new and clean copy this is a great option. Perhaps a bit too clean in some regards because as people have stated the plain white paper inners are such wasted potential. They are not even plastically lined so its a real cheapscape when an album like this really needs a lyrics sheet of some kind. There are few crackles here and there but it could just be static. I was surprised to find this to be a 45rpm release since its not advertised anywhere. I assume this used to be a mini album or EP before. Not complaining, just letting you buyers know. I dont know if any other release has lyrics but the original did not so its not downgrading per say. In that aspect I wish they wouldnt have immitated the original. But where it suceedes in spades is the music and only looking at that its a clear 5 star reissue. Bought a strange release on the LPs in Barcelona 2 weeks ago. It has printed inner sleeves. The LPs are supposed to be 45 rpm, it's printed on them, but somehow they're 33 rpm. Any idea what version is that? Sadly, the reissue was announced as "each album artwork has been crafted to reflect the original release from the cover to the printed inner sleeves", but this release has white blank innersleeves without lyrics etc. A huge disappointment.